The Senate on Wednesday rejected the Bill for an Act to phase out petrol vehicles by 2035 and introduce electric cars. This followed observations by lawmakers on the impossibility of mandating Nigerians to stop the use of petrol vehicles. Following the rejection, the sponsor of the bill, Senator Ben Murray-Bruce Bruce, withdrew it. He, however, raised a Point of Order, saying that posterity would judge him right for the need to embrace electric vehicles, adding that in no distant time, combustible vehicles would be phased out. According to him, the earlier Nigeria buys into the change, the better. “I can never quarrel with my leaders and friends, but I want them to close their eyes and know they are in the 21st century. “I own an electric car that I have been using for the past five years. It is cheaper to maintain and durable. So, the fears put forward by my colleagues are highly debatable. “I will withdraw the bill, but I want my colleagues to know they do not belong in the 21st century,” he said. Presenting the bill before its rejection, Bruce said one of the major advantages of using electric vehicles was that it would help to solve the problem of ozone layer depletion. He also said the use of electric vehicles would be health friendly, among other things. Contributing, Deputy Senate President, Ike Ekweremadu, congratulated Murray-Bruce for the bill. He, however, said there was no need for a law to be passed for Nigerians to switch from use of petrol vehicles to electric vehicles. He said, going down history, people moved from the use of animals as sole means of transportation to the use of bicycles, motor bikes, cars and other advanced means of transportation. According to him, the provisions of the 1999 Constitution which provide for freedom of movement sufficed. 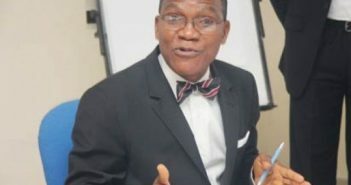 “I congratulate Ben Murray Bruce for his uncommon common sense and brilliant ideas in the lead debate, but what is not common is the need to introduce a law to mandate the use of electric cars. “If we go down in history donkeys were used as means of transportation and there is no law that caused people to begin to use cars. 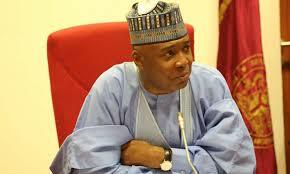 In his remarks, the President of the Senate, Dr. Bukola Saraki, emphasised the need to move to other items on the day’s Order Paper since Murray-Bruce had withdrawn the bill. He also said the Point of Order raised by Murray-Bruce before withdrawing the bill was noted.